Ê Masahiro hand forged and hand folded medium carbon steel blade. Rays skin wrapped handle. 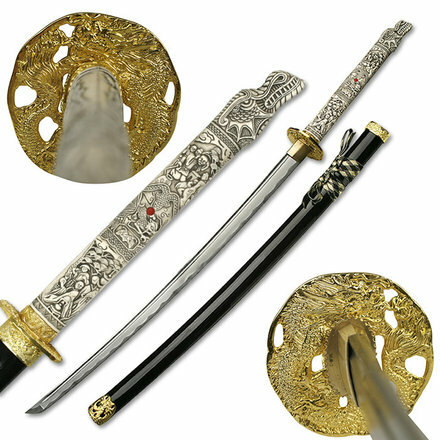 engraving on both sides of the blade. 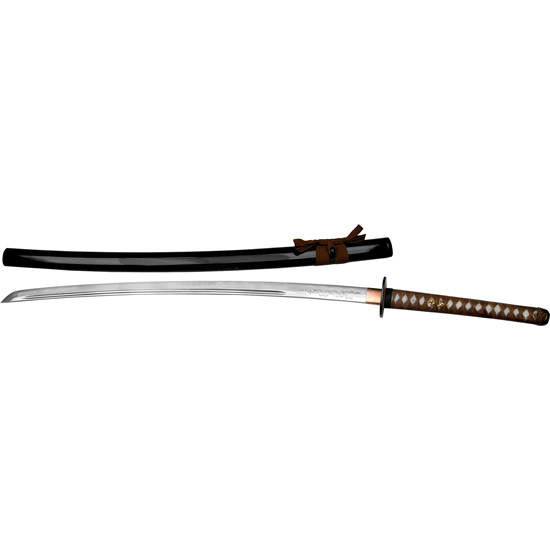 Laquered finish wooden scabbard. 2 Tsubas. 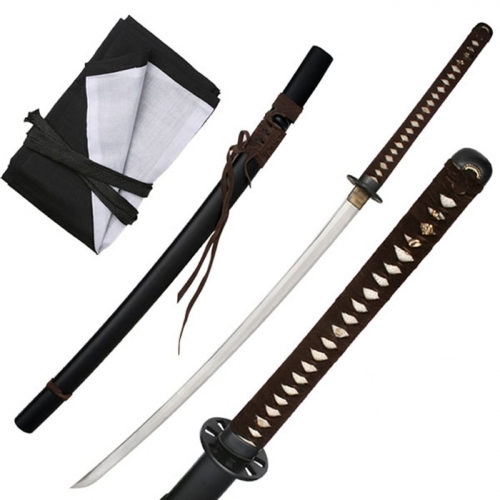 Includes cotton sword bag and tubular decorative box. 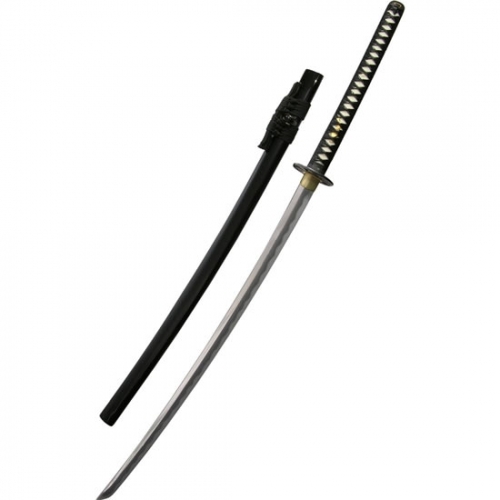 121,92 cm overall, 76,20 cm blade 33,02 cm handle.